Make a Difference Trust are supporting the costs of Waverley Care’s Financial Benefits Support Project (a part of Waverley Care’s Community Project). The Project helps people living with HIV and Hepatitis C in Edinburgh and the Lothians, and provides service users with finance and benefits advice and support from the team’s Community Project Workers. Through evaluation and monitoring, Waverley Care know that there are a number of issues affecting people living with HIV and Hepatitis C that impact on their ability to live an independent and healthy life. For instance, the process of having benefits reinstated after being wrongly taken away, can be lengthy and very stressful and, whilst this process is taking place, service users still need to pay their utilities, access food banks and attend health appointments. Financial worries around employment and immigration status can all have a big impact on people and may push people further into isolation from society, with possible mental health consequences. Addressing these issues by providing support can ultimately improve the lives of people with HIV and reduce the numbers of people living in poverty. “Thanks once again for supporting us and helping to make the work and the success of Waverley Care possible”. Waverley Care, set up in 1989, is Scotland’s HIV and Hepatitis C charity; a community of diverse and inspiring people united by the same goal – to make a positive difference in the lives of people affected by HIV or Hepatitis C in Scotland. No matter whom they work with, they strive to make sure that every person they meet feels respected and encouraged. In fact, the four principles that reflect what they do – respect, believe, build and inspire – all point back to the people-orientated nature of their work. While they offer dozens of services, it’s always about people. In broader terms, their work is focused on prevention, education, testing and support. Throughout Scotland they’re reducing new HIV and Hepatitis C infections, getting people diagnosed and supporting those affected in whatever ways they need. They are also busy challenging stigma. In all that they do, they never give up on people, but are always there to walk alongside anyone affected by HIV or Hepatitis C.
The Children & Young People’s Service provides a safe haven where children can be themselves, meeting others in a similar situation and receiving consistent adult support. Just speaking to other young people living with HIV and Hepatitis C who understand, and can say “me too”, can be of huge benefit. Many of the children come from social backgrounds where poverty, parental drug use or family breakdown compounds the issues of HIV and Hepatitis C. Many are children of refugees or asylum seekers who may also be experiencing additional stigma as a result of their circumstances and race. Stigma has a major impact on the self-confidence of a child. Much of their work centres on rebuilding self-confidence and self-esteem and helping the children to work towards a positive future. Two groups meet throughout term-time in Edinburgh, once per week, for 4-11 year olds; and once a month for 12-18 year olds (called the YAP Group). They also run a dedicated monthly support group for young people aged 12-18 who are living with HIV, called Poz Youth which is run out of their Glasgow office. Their staff operates a rolling programme of external activities (ten pin bowling, indoor climbing etc.) and helpful workshops discussing relevant issues to the young people. All the activities are free. The emphasis of all these groups is on giving and receiving peer support and having fun. The arts are often used as a focus for activities. It enables children and young people to relax, be themselves and to start to interact with others. Older groups (YAP Group & Poz Youth) also participate in workshop activities which address relevant issues, for example, anger management or safe use of the internet, sometimes using drama. They also offer holiday play schemes for 4-11 year olds for eight weeks per year covering the February, Easter, summer and October week holidays. 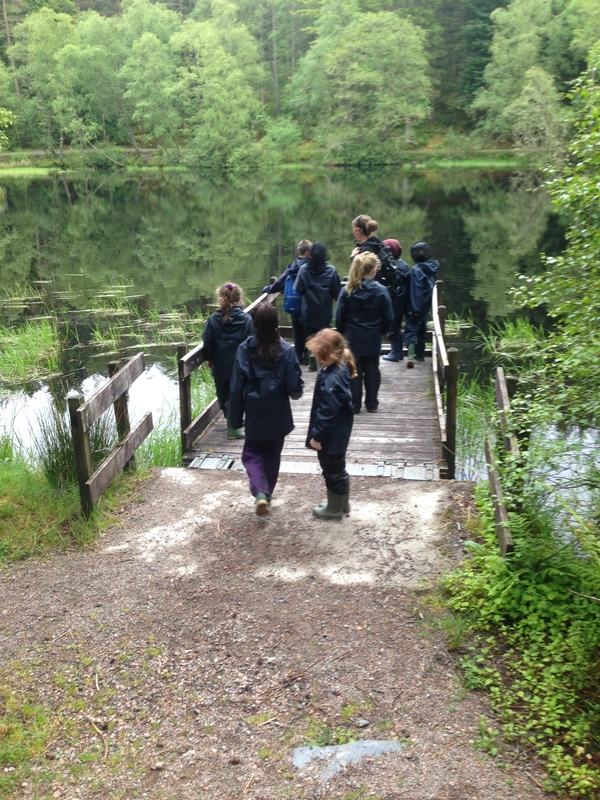 The Service organises four residential trips each year for different age groups. They take 7-11 year olds to Ardvullin House on the Ardnamurchan peninsula; whilst older groups generally go to Central Scotland holiday parks, such as at Wemyss Bay. These provide an opportunity for children and young people to spend time away from stressful home situations, enjoying new experiences and meeting new friends. They are very popular! They have seen particular benefits from residentials with HIV positive young people: they are able to engage in discussions and to support each other with some of the very practical issues they face such as taking medication and coping with side effects. One-to-one work takes place whenever it’s needed. This can have a real impact on the lives of both affected and infected children, allowing a staff member to work on issues of particular significance to them. This may include support to children whose parents are struggling with addiction problems or who are facing issues relating to their school attendance or achievement. It can also make a significant difference in helping children cope with bereavement or in situations where children have lost parents or other family members to HIV or other conditions. Their workers give intensive support to family members, where required. This will often involve attendance at social services case conferences, for example where there are child protection issues. The work can help to diminish some of the day to day stresses of difficult family situations and promote better parenting skills. All of the above work came out of an initial feasibility study in Edinburgh in the 1990’s that showed the need for their support services including the need to support children and young people through a children and families Project.